From the World of Eric Carle comes a brand-new book starring the Grouchy Ladybug, a favorite character for over 40 years! Perfect for fans of Love from the Hungry Caterpillar, this reminds us that that hugs and kisses truly make the world go 'round and that we all need love, even when we're grouchy! With Eric Carle's signature bright collage illustrations featuring an array of charming animals, this is the perfect gift for Valentine's Day, or any time you want to share love with someone special. With its universal message of friendship, this little gift book is perfect for all ages! 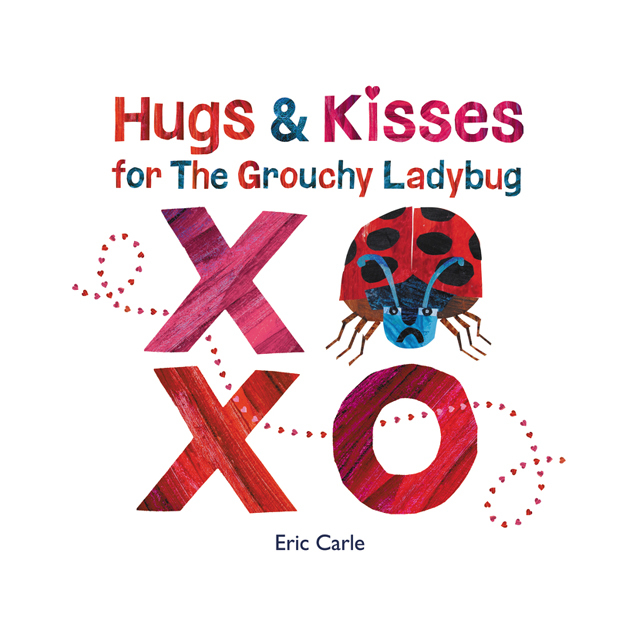 Hugs and kisses for the grouchy ladybug will make you smile, clap, and jump for joy!